The Oakland Zoo’s new 1500 square-foot barn will accommodate a herd of nine giraffe. The new barn is designed to better accommodate the animals and their specific needs – twenty-five foot ceilings, a birthing area, space for medical procedures, two large doors specially designed to create a round-about where animals can shift easily in and out of the barn, and a floor made out of materials best suited for hoof stock. 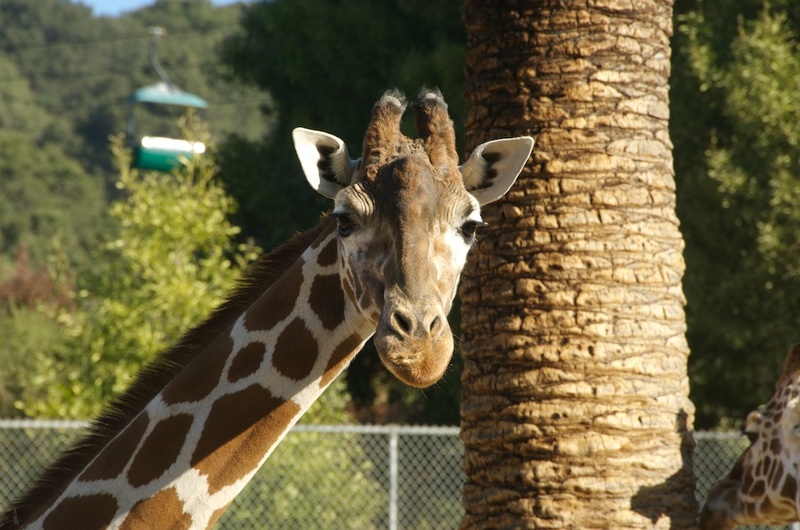 On Thursday, March 8, 2012 at 11:00am, Dr. Joel Parrott, President & CEO of Oakland Zoo, will be surrounded by supporters, friends of the Zoo, volunteers, and staff as a new giraffe barn is unveiled. The Zoo’s new 1500 square-foot barn will accommodate a herd of nine giraffe. “Benefiting the animals should always be our clear goal,” stated Oakland Zoo Zoological Manager Michelle Jeffries. “With the help of Oakland Zoo supporters, new facilities like this barn become a reality.” Thanks to contributors, led by Robin Reynolds and George Zimmer, funding was made available to raise the roof for the Zoo’s nine reticulated giraffe. The new barn is designed to better accommodate the animals and their specific needs – twenty-five foot ceilings, a birthing area, space for medical procedures, two large doors specially designed to create a round-about where animals can shift easily in and out of the barn, and a floor made out of materials best suited for hoof stock. The new barn replaces old structures that were outdated and need of repair. The Zoo is still seeking additional funding for medical equipment needed for the giraffes' medical care. The award-winning Oakland Zoo is home to more than 660 native and exotic animals. Nestled in the Oakland Hills, in 500-acre Knowland Park, the Zoo is located at 9777 Golf Links Road, off Highway 580. The East Bay Zoological Society (Oakland Zoo) is a nonprofit 501(c)3 organization supported in part by members, contributions, the City of Oakland and the East Bay Regional Parks. For more information please visit our website at http://www.oaklandzoo.org.